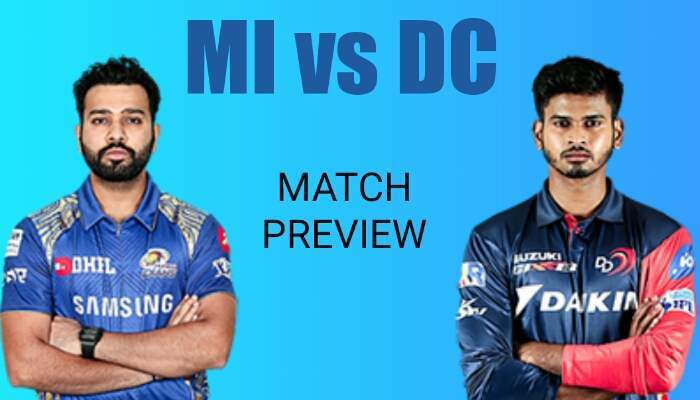 Shreyas Iyer (captain), Colin Munro, Prithvi Shaw, Shikhar Dhawan, Hanuma Vihari, Colin Ingram, Manjot Kalra, Chris Morris, Sherfane Rutherford, Keemo Paul, Axar Patel, Jalaj Saxena, Rahul Tewatia, Rishabh Pant, Ankush Bains, Sandeep Lamichhane, Avesh Khan, Harshal Patel, Trent Boult, Amit Mishra, Kagiso Rabada, Ishant Sharma, Nathu Singh and Bandaru Ayyappa. Lasith Malinga and Adam Milne were unavailable. Rohit Sharma is set to open the innings with Q De Kock for his team. Yuvraj Singh would play in this match and it means that any one of Ishan Kishan or Suryakumar Yadav can be a part of playing eleven today. Krunal Pandya is expected to bat after these main batters. He generally bats well whenever he get innings and is very strong batsman with high strike rate. H Pandya, Keiron Pollard and B Cutting will manage the middle order. Mayank Markande and Krunal Pandya will lead the spin attack of the team. M Mclenaghan, J Bumrah and B Cutting are expected to lead the pace attack of the team & H Pandya will help them. Delhi has ruins the expectations in most seasons of the Ipl. But now they have changed their name and fans hope that they will come with do or die attitude for their team this season. Chris Morris is not available today. Prithvi Shaw will follow them. S Iyer and C Ingraim are expected to bat next. Both are technically strong batsman and are in good form.They can provide you good points if you pick them in your team. Rishabh Pant and Axar Patel will do late hitting duty. Rishabh Pant has a good record in the ipl formats. Amit Mishra, Sandeep Lamichhane(little bit risky) and Axar Patel will lead the spin attack of the team. Kagiso Rabada, Trent Boult and Ishant Sharma/Avesh Khan are expected to support the pace attack of the team. In wicketkeeper Rishabh Pant and Q DeKock both are good. DeKock will open the inning so he will be better and safest option. Batsmans get good support at this pitch so try to take more batsmans. Pitch is expected to be batting friendly. NOTE: THIS INFO IS PROVIDED ONLY FOR YOUR REFERENCE. WE ARE NOT RESPONSIBLE FOR ANY TYPE OF LOSSES YOU SUFFER.